July was over a couple of weeks ago, and I am finally ready to post the month's recap. It was a really good reading month with five highly recommended reads, two of them top reads. But as you will see below, the rest are not too bad at all. My two top reads of the month, although different, kept me at the edge of my seat. 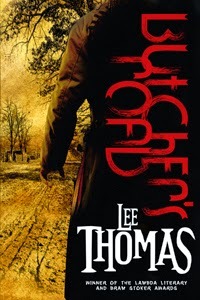 Lee Thomas' Butcher's Road, a historical crime thriller with speculative fiction elements, is so fast-paced and edgy that it spoiled my reading momentum for a few days -- I kept looking for another great shot of adrenaline just like it and couldn't find it. I ended up rereading a favorite book afterward before picking up another new read. World of Trouble by Ben H. Winters, a pre-apocalyptic mystery, had the same effect on me for different reasons. The end of a great trilogy, this book's main character, his journey through a pre-apocalyptic world, and the questions he asks through the mysteries he solves, stayed with me for a long while. The last page of this book is just. . . In July, the B+ reads are all highly recommended. In My Favorite Uncle, I loved Marshall Thornton's excellent writing along with the wit and depth, while in The Girls at the Kingfisher Club by Genevieve Valentine the historical fiction, setting, characters, and atmosphere kept me thoroughly engaged. In Seduced by Molly O'Keefe on the other hand, I loved for the gritty presentation of the characters' post-civil war struggles and the redemptive qualities found in the romance. In the B grouping, there are more solid B's than mixed bags. Of the B books reviewed, Land of Love and Drowning by Tiphanie Yanique and Only Love Garrett Leigh are both strong reads with either solid plotting and/or writing style, characters, and atmosphere that do not let the reader down. And while The Iron King by Julie Kagawa falls under this category with a fantastic world-building and a young adult romance that I believe young adults will enjoy, that same romance was not entirely satisfactory for me personally. I will be reviewing the remaining books soon. My C list is quite short this month. Dissonance is another young adult fantasy piece with an intriguing world-building and a great mystery that kept me reading. Unfortunately the majority of characters are tough to like and the young adult romance that takes center stage did not work for me at all. And unfortunately, although the story in I Want to Hold Your Hand has its highs and positives, I just did not buy the happy ever after, making it a highly frustrating romance read. I had a fantastic rereading month in July since all the books I chose are favorite A and B+ reads. All my rereads were highly enjoyed, however, I miss reading good historical romances and Duchess by Night was a treat. I'm also craving mysteries at the moment, so Fair Game was the perfect choice. Aarrghhh - stupidly closed the tab and lost my comment! Li, I am going to review Magic Breaks. 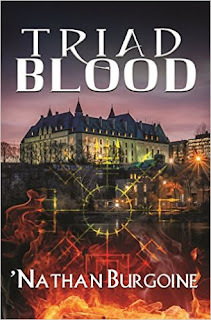 I read the book almost as soon as it released and I also liked it, but it I don't think it is one of the best books of the series. There are a few elements missing from this installment, and I do believe that the fact that the authors received a contract for 3 more books made a different in its execution. After all it's not the expected end, right? I agree. They have a slew of options and I'm curious as to the direction they will take. Can't wait for your review of Magic Breaks!